In the summer of 2009, the debate over the merits of shale gas development was briefly cast in the context of an ecological disaster at Dunkard Creek, a pristine and thriving freshwater fishery winding across Pennsylvania’s border with West Virginia. The headwaters of Dunkard Creek come together upstream of Brave, Pennsylvania, a hamlet of 412 people in Greene County. From there, the creek – once teeming with more than 161 aquatic species ranging from freshwater mussels to 3-foot muskellunge -- winds 43 miles to the Monongahela. On September 4, 2009, dead fish began collecting in a pool below the Lower Brave Dam. Over the next week, fish floated to the surface, sank to the bottom, and washed up on the banks along the entire length of the creek. By the end of the month, almost everything in Dunkard Creek was dead. The only exception was an invasive microscopic alga—common in Texas estuaries—that had somehow migrated into the creek and now thrived in its suddenly brackish water. 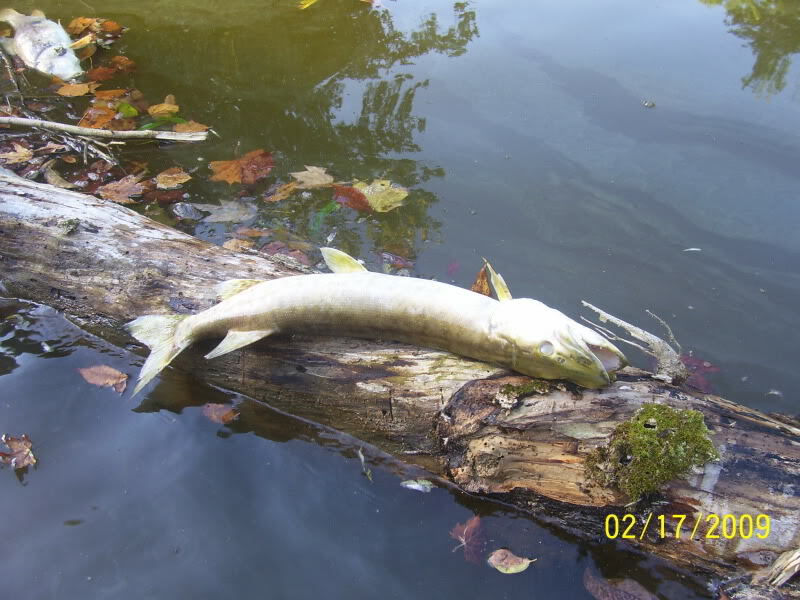 This fish kill happened to coincide with the initial rush to develop the Marcellus Shale in Pennsylvania as natural gas prices spiked to record high levels. Drilling companies were drawing down water levels at local tributaries, including Dunkard Creek, with larger tankers. They were also disposing of brine and other waste by hauling it to sewage treatment plants that were unequipped to handle it downstream on the Monongahela River. Dunkard Creek is one of the many issues explored in my book, Under the Surface. In a recent review, Bill McKibben cited my depiction of the fish kill as an example of the ecological stakes of shale gas development. Early this month, former DEP Secretary John Hanger criticized McKibben’s characterization as a “false narrative” that contributed to the polarization of the shale gas debate. Hanger’s assessment has been held up by the industry, which insists that Dunkard Creek portrayal comes from skewed and erroneous media reports that unfairly suggest the industry was involved in the disaster. There has been confusion over the factors that lead to the fish kill in Dunkard Creek, and the gas industry has used this confusion to deflect accountability for its role. The catalyst for the disaster, according to an assessment from the Pennsylvania state DEP and the federal EPA, was a coal mine operated by Consol Energy that had been granted variances for discharges with high TDS concentrations. TDS (total dissolved solids) is a measurement of chlorides and other elements, which in the summer of 2009 tipped the chemistry of Dunkard Creek beyond its ecological threshold. The EPA has determined that a contributing factor was low water levels in the Creek due to the industry’s water withdrawals to supply hydraulic fracturing. The organism that infected the creek ---Prymnesium Parvum (Golden Algae)---was not a local phenomenon, or a product of the mine discharge, but an import that hitched a ride from a place where it thrived in coastal estuaries. It should be noted here that drill rigs, related equipment and crews are by their natura itinerant, and offer a plausible means for the golden aglea to spread. In addition to the mine discharge, illegal dumping of drilling wastewater has been identified as a suspect at several locations, including a brine disposal well, called Morris Run. This well had come under scrutiny for lax security and possible environmental problems. In 2009, the EPA fined Consol Energy, the owner of the well, $158,000 for failing to keep gates locked or to properly log the trucks coming and going from the site. This February, Alan Shipman, who hauled waste for the drilling industry, pleaded guilty to 13 of 98 charges that he illegally dumped millions of gallons of wastewater in different Pennsylvania counties over the last six years. The plea bargain came after authorities accused Shipman of dumping drilling waste into Morris Run, other tributaries of Dunkard Creek, as well as other Pennsylvania watersheds from 2003 to 2009. I raise these facts now because the history of Dunkard Creek is being written by the industry as something less than it really was. If you examine the story of Dunkard Creek from all relevant sources, as I have, rather than the industry’s obfuscation of the event, you will find a record that shows more at play than simply a discharge from a recalcitrant mine operation, and these other factors are fair points of discussion when looking at the impact of shale gas development. At some point, the industry may realize that the way to build credibility and public favor is to take accountability for problems and work to make improvements, rather than to point the finger at others and throw up a veil of blamelessness. Thank you Mr. Wilber for this excellent assessment and writing the book. I'll be ordering a copy tomorrow! I fear that what happened at Dunkard Creek will not just be an isolated incident. I live in North Central WV, and am a member of our local watershed group. We are volunteers who are doing our best to monitor stream conditions and prevent something similar from occurring here. This is an enormous challenge as the drilling companies, whose water withdrawal activities only appear to be loosely regulated, are sucking water out of our creeks at enormous rate. We have only 16 Oil and Gas inspectors in the entire state of WV to regulate the industry. With 59,000 existing O&G wells to oversee in addition to handling the current Marcellus Drilling frenzy here in WV, I simply do not see how they can do this effectively. Already we are seeing extremely low stream levels and with the lack of sufficient oversight, many wonder just how much water these drilling companies are sucking out of our streams. We have no enforceable legislation for water withdrawals, just a "guidance" tool on the WV DEP website, and the Water Management Plan that drillers submit to indicate where they will draw their water. A document that has no real oversight assigned to it. With 4-6 million gallons of water needed to frack a single Marcellus well, and about 300 of these wells proposed for our immediate area of WV alone, how on earth will the WV DEP be able to police this activity? Thankfully, we are seeing more citizen activism serving as watchful eyes for the environment and raising questions about the flurry of tanker trucks we see each day sucking from our streams. Landowners are networking together to help promote environmental research opportunities in WV by making it easy for faculty researchers and environmental research groups to access WV. We want them to come and stay on our private properties on or near drill sites and compressor stations and conduct stream studies, air quality sampling, health assessments, soil testing, and all other environmental research relevant to assessing the long term impacts of Marcellus drilling. eToro is the best forex trading platform for beginner and professional traders.